With 116 full length CDs to her credit already, Buffalo Philharmonic Orchestra Music Director JoAnn Falletta is gearing up this weekend for yet another recording, bringing an old form of music, an oratorio (think "Messiah"), into the 21st century with Richard Danielpour's "The Passion of Yeshua." 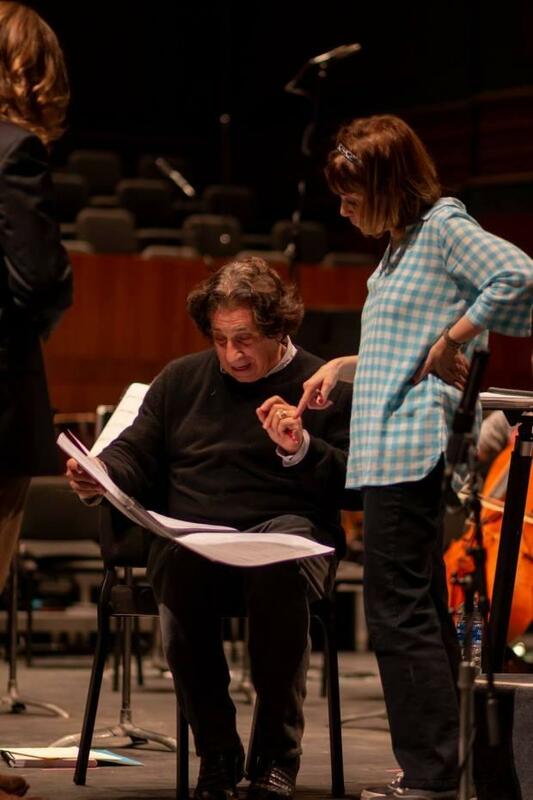 Falletta and Danielpour on "The Passion of Yeshua"
Composer Richard Danielpour (sitting) and conductor JoAnn Falletta discuss "The Passion of Yeshua" in rehearsal. "Yeshua" (say "YEH-shoo-ah") is Hebrew for Jesus and this oratorio is about Jesus' final day. While perhaps the most famous oratorio is Handel’s Messiah, which described the entire life of Jesus, Handel’s contemporary Bach concentrated only on the final days of Jesus’s life when he wrote his “St. Matthew Passion." 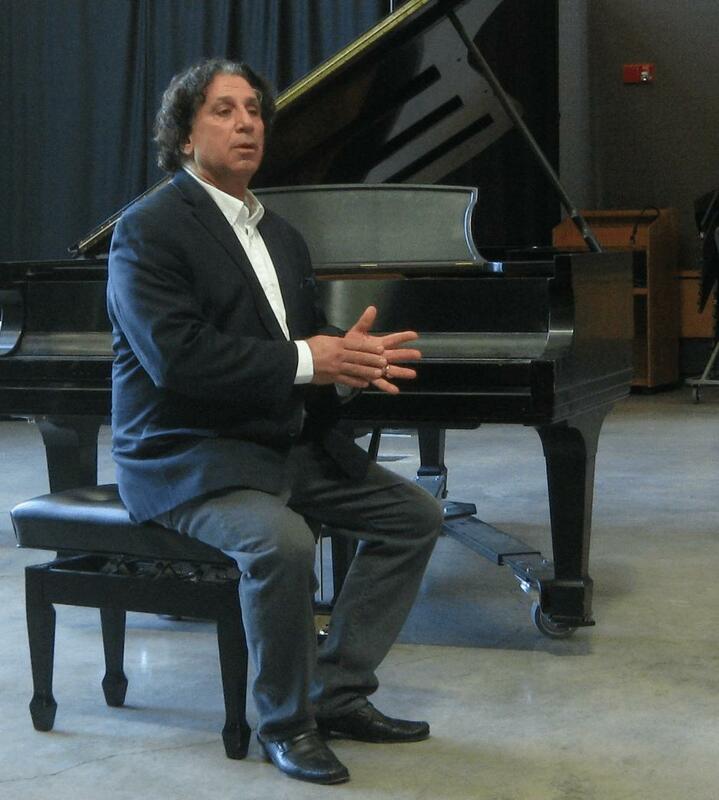 When composer Richard Danielpour was a teenager, he heard the "St. Matthew Passion" for the first time, and, as he told WBFO, "It was one of those moments that pushed me into knowing that I was going to be a composer for the rest of my life." Danielpour and Falletta go way back, and, in fact, she was the conductor who gave Danielpour his first professional performance with a major American orchestra. when they ran into one another in 2007 Falletta told the composer: "We really have to do something again, but it needs to be really big." Danielpour recalls calling Falletta in 2015 saying: "I said I have this idea and I think you’re supposed to conduct it." 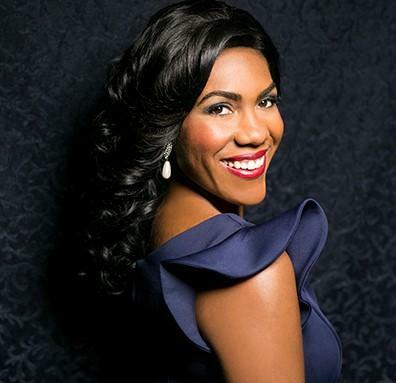 Mezzo-Soprano J'Nai Bridges will be "Carmen" this summer at San Francisco Opera, but this weekend she's in Buffalo singing the role of Myriam, the mother of Yeshua. sings the role of Mary, or Myriam, mother of Yeshua, singing in both English and Hebrew, which she says is not a language that most opera stars learn, but is a beautiful language to sing. Falletta is thrilled to be able to collaborate with a living composer. The prestigious NAXOS recording company is putting big resources into this weekend’s recording of the compelling story of the last day of Jesus. Both performances of THE PASSION OF YESHUA, Saturday April 13 at 8 and Palm Sunday afternoon at 2:30, will be at Kleinhans Music Hall. For tickets visit the BPO box office or call (716) 885-5000. Thanks to WBFO's Nick Lippa and Avery Schneider and WNED's Mark Swarts for help with this story.